Fine and smooth knit, these cool, comfortable 80% cotton rich Björn Borg Plain Trainer Socks are perfect doubles partners for your favourite summer shoes or sports footwear. 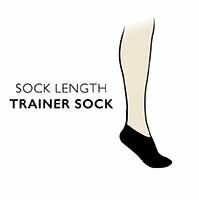 The light, non-cushioned weave of these Stockholm-designed trainer socks keeps you fresh, providing a layer between you and your footwear, but without unnecessary and bulky padding. Björn Borg Plain Trainer Socks come to you as a triple pack of below-ankle length liners, made with true shaped heels and Björn Borg branding woven at the back ankle.